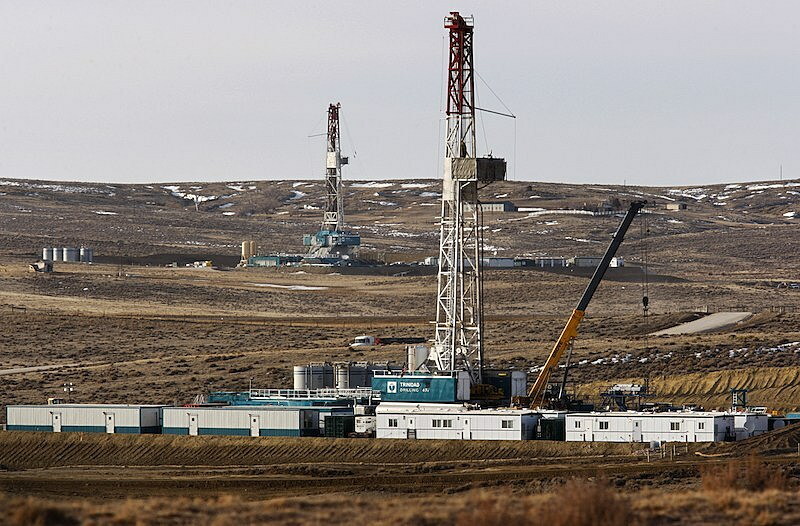 WASHINGTON (CN) – Faulting the Trump administration for its failure to consider climate change late Tuesday, a federal judge temporarily blocked the auction of federal land in Wyoming for oil and gas drilling. Wildearth Guardians and Physicians for Social Responsibility challenged the auctions in the waning months of the Obama administration. The 2016 complaint alleged that despite the White House’s commitment at the time to “a clean energy future,” the bureau violated the National Environmental Policy act by failing to adequately consider the greenhouse gas emissions that oil and gas development would generate. The American Petroleum Association of Wyoming and the Western Energy Alliance and Petroleum Association of Wyoming intervened as defendants, along with the states of Wyoming, Utah and Colorado. The 282 leases at issue cover roughly 303,000 acres of federal land in Wyoming. While Contreras agreed that the administration should have assessed drilling impacts “across the leased parcels as a whole,” he determined that site-specific analysis is not required at the leasing stage. “At the leasing stage, BLM could not reasonably foresee the projects to be undertaken on specific leased parcels, nor could it evaluate the impacts of those projects on a parcel-by-parcel basis,” the opinion says. But Contreras soundly rejected the administration’s argument that it would be “overly speculative” to quantify greenhouse gas emissions during the during the leasing stage. “That assertion is belied by an administrative record replete with information on oil and gas development and GHG emissions,” the opinion says, using an abbreviation for greenhouse gas. Noting that BLM might be able to substantiate its prior conclusions, Contreras declined to vacate the Wyoming leases. Instead he temporarily blocked them from moving forward and ordered the agency to redo its analysis. The Department of Justice did not immediately return a request for comment on the ruling. Barbara Gottlieb with Physicians for Social Responsibility meanwhile said the organization was “proud” to have joined the lawsuit.